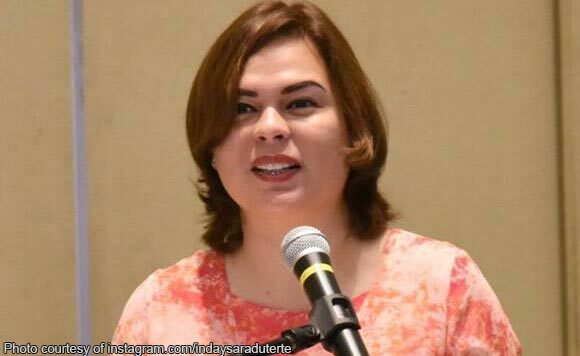 DAVAO CITY — Mayor Sara Duterte will hit the campaign trail for the 11 senatorial candidates supported by Hugpong ng Pagbabago (HNP) in Pampanga on Tuesday, the start of the campaign period for candidates for senators and party-list groups. Mayor Sara confirmed this on Thursday at the sidelines of the City Peace and Order Council (CPOC) meeting here, adding the Pampanga campaign will be led by the Kambilan — the local political party organized by Governor Lilia Pineda in 2009. Mayor Sara, HNP founding chairperson, said the regional party’s 12 senatorial candidates are seen to push the vision of President Rodrigo Duterte for a peaceful and progressive country during the administration’s last three years in office. HNP has endorsed the candidacies of former Special Assistant to the President Christopher Lawrence “Bong” Go, former Philippine National Police chief Ronald dela Rosa, Senator Cynthia Villar, Taguig Rep. Pia Cayetano, Ilocos Norte Gov. Imee Marcos, former journalist Jiggy Manicad, Senators JV Ejercito, Jinggoy Estrada, Sonny Angara and Aquilino “Koko” Pimentel III, Maguindanao Rep. Zahid Mangudadatu, and former Presidential Adviser Francis Tolentino. During the HNP’s second general assembly last month, Sara emphasized the need for the party to capture at least eight of the 11 senatorial seats to prove it was an effective political party. “We can truly see if HNP is effective after the election if we make admin senators win,” Sara said.